Visiting is an important part of the hospital experience.We welcome visitors to patients but have set visiting times in place to help ensure patients get adequate rest and that staff can carry out the tasks they need to through the day. 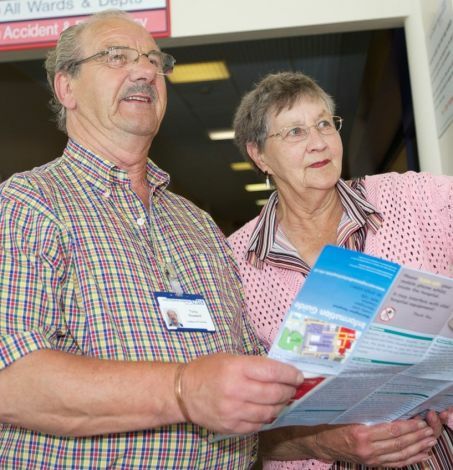 On this page you can find out more about visiting and information on visiting times, keeping in touch and the facilities we have at the hospital. One thing that we ask all visitors to do is wash your hands and/or use the alcohol rubs and gels before entering and leaving the ward. You will find these rubs at all entrances to wards and in many of the ward bays. We have a good record of reducing hospital infection at Warrington and Halton hospitals but we need your help to continue this. Washing your hands in this way is vital. We also ask that you do not visit if you are feeling unwell yourself. If you do need to visit outside set times, please contact the ward directly or speak to the ward staff on your first visit and they will try to help you. 14:00 – 15:00 and 20:00 – 21:00. Please ensure that only 3 visitors including one parent are at the cot side during visiting, visitors are not to be changed. During visiting a parent must stay with the baby for security reasons. Please do not leave your visitors unattended. If you have any questions or comments please ask for the shift leader. The trust offers visiting times between 12noon and 8:00pm across the majority of our wards (except B11, B18, C23, neonatal unit and ICU) to you with greater flexibility visiting your loved ones in our hospital. We understand that it is very stressful time for you all when a loved one is here and we know how much a visit from friends and family can boost a patient’s morale and recovery. Longer visiting also provides greater opportunities to be involved in your loved one’s care here at WHH and increases time for you to ask us questions about their care. We have introduced our Visitors Charter, which outlines guidance around our visiting times and rules, our aim is to assist you in a better experience and our requests of you is ensure your time with your loved ones is as stress free as it can be. We offer extended visiting for next of kin and immediate family. Visiting times can be very tiring for the patients and therefore we request only two visitors per bed. We politely request that you observe the nursing medication round at approximately 12noon - 2:00pm and 5.00 p.m. – 6.30 p.m. and require visitors to avoid interruptions if possible to staff during this time for reasons of safety. If possible we request that all patient queries concerning your relatives care are raised with the staff before 7.00 p.m. to ensure nursing handover is not interrupted. This allows for effective and accurate communication between shifts. There may be occasions you might be asked to leave for a short period of time which may be due to reasons of patient confidentiality or privacy and dignity. To read a copy of our Visitors Charter click here. It is natural that you will want to know how your friend or relative is progressing, but it would help us considerably if calls could be kept to a minimum. Perhaps you could nominate one person who could enquire on behalf of the family. As you appreciate, the hospital switchboard gets very busy and it would assist us greatly if people could avoid ringing in at peak times (breakfast, lunch and teatime). Each ward has a direct dial telephone number which means you do not have to go through the switchboard. Please ask the nurse in charge for this number. They may also advise on the best time to call for an update each day (following the doctor's ward rounds for example). Most of our inpatient wards have access to the Hospedia bedside communication system by each bed. This gives personal telephone and internet access as well as TV and radio. Patients can register and the number will go straight through to their bedside set so you can keep in touch by phone and leave messages. This is a service that you need to pay for and is charged at nationally set rates as it is a system that is in place across the NHS as part of a national contract. You will be advised of the costs per minute when the call is connected so please listen carefully. More information on Hospedia can be found on their website here. Mobile phones can be used in the majority of areas within the Trust. In certain areas we ask that you restrict your use of mobile phones because of the risk of interference with sensitive medical equipment. In areas such as high dependency units, catheter labs, recovery areas and A&E Resus areas where the density of sensitive equipment is high the use of phones is restricted. Please be aware that taking pictures, video or sound recordings of any person, patient, visitor or staff member is prohibited on all Warrington and Halton Hospitals NHS Foundation Trust premises without prior permission. Mail is delivered to the wards each morning and we will try and ensure that any post gets to patients where possible. To ensure that patients receive any post promptly, please put the full name, ward number and the correct hospital address including the postcode on the envelope. We will do our best to ensure that any post reaches patients but please bear in mind that if post is delayed, it may arrive after they have been discharged. Please see the How to find us section of this website for full information on travel, parking and public transport at the hospitals. 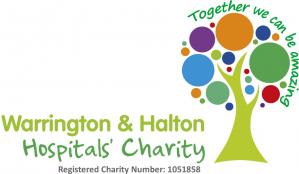 Visitors are able to use the hospital shuttle bus service that runs between Halton General Hospital (including a stop at the Cheshire and Merseyside Treatment Centre) and Warrington Hospital throughout the day, seven days a week, to get to visits. For further information on this service and a full timetable, see the hospital shuttle bus page of this site. Please check the travel times carefully and bear in mind that services around the peak visiting times can be busy. Special arrangements are available for visitors to long-stay (over one week) or seriously ill patients. The parking at the hospitals pages have details of the parking concessions that are available to regular or long term patients and visitors. The trust has a team of chaplains who visit the hospital wards regularly. They are available to give confidential spiritual care and support at times of need and distress. You do not have to be religious to receive a visit. There is always a chaplain on-call, so if you want to see someone urgently, please ask the staff to contact one of the team. If you prefer, we can inform your own minister or faith leader for you. Each hospital has a chapel and both are always open for prayer and quiet reflection. At Halton the chapel is on the upper floor by the entrance to ward B4. At Warrington it is situated on the ground floor of Burtonwood Wing, near wards B10 and B11. In this chapel there are washing facilities for Muslim prayer. Holy Communion can always be brought to you at the bedside. However, there are also a number of services each week in the hospital chapels. Warrington - Holy Communion Service for all other denominations on Sunday at 10 am – this is also broadcast live on Radio General. A team of trained helpers can bring you to these services in a wheelchair. All patients, family, friends and staff are warmly welcome to come along. We provide a range of shops and facilities for patients, staff and visitors at the hospitals. 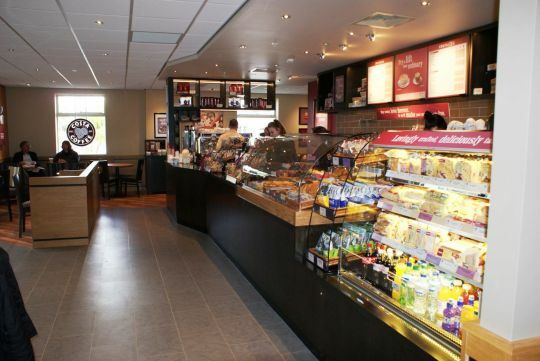 In the Main Entrance foyer there are a range of shops and eateries including a Costa Coffee, Subway sandwich shop, restaurant, large newsagent (which sells a large range of day to day essentials), the Stock Shop (clothing) , WRVS gift shop and even a hairdressers. There is also a small café in the Outpatients department that serves hot drinks and snacks and various vending machine points including on the ground floor of the Croft Wing. Opposite the main hospital entrance on Lovely Lane there is a petrol station and convenience store. George Lloyd restaurant is located at the rear of the hospital and is open to visitors as well as staff. You can get to it from the main entrance 1 by following the main corridor right to the end and then turning left. From entrance two (urgent care centre) you need to take the lift or the stairs up to the main corridor. At the Entrance 1 foyer there is a reception area with a League of Friends snack bar and a small newsagent and seating area. The nearest cashpoints are at the Shopping City complex (a 5 minute walk from the hospital) and at the petrol station near the Entrance 2 exit to the hospital. There is a cafe in the main entrance on the ground floor of the centre selling coffee and a range of sandwiches and snacks, this is open Monday - Friday, 9:00am - 1.30pm. Please use the comment facility if there is any further information that you would find useful about visiting the hospitals.